Dr. Korolevich was born and raised in Maryland just outside of Washington, D.C. He earned his undergraduate degree from the University of Maryland and went on to graduate from Eastern Virginia Medical School in 1988. He completed his residency in Family Practice at Bayfront Medical Center, a University of South Florida affiliated program where he met his wife Sharon. They have two children, Sean and Nicole. After several years of practice in Kentucky, Dr. Korolevich moved his family to Naples, serving the Naples, Marco Island and Bonita Springs communities since 1996. Dr. Korolevich is board certified in the disciplines of Family Practice and Anti-aging medicine. His interest and passion for this emerging field has led him to pursue advanced education in age management and personalized medicine. 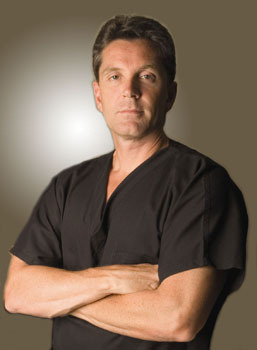 He has trained with nationally recognized physicians who are experts in their fields, such as Dr. Mark Houston (Hypertension, Hyperlipidemia, and Cardiovascular disease) and Dr. S. Padi (OBG/YN and Bioidentical Hormone Replacement) and Dr. Abraham Morgentaler (Urology and Mens Health), allowing him to incorporate newer protocols into disease treatment.